This month is filled with family time, giving thanks and making memories with all our loved ones. If given the chance this is how I'd like to spend my Thanksgiving and set the table! I have been itching to get this gold flatware set from Target, perfect for Thanksgiving and when you need to give that table a little something extra. Speaking of extra and Target, Threshold has these metallic styled candles I love the copper and gold ones - no surprise there! I also love the idea of switching up the bar area and making it themed for the day - taking a cue from this apple cider bar cart and you can add these cute stemless glasses too. I tried making place cards two years ago for my sisters house - but these golden leaf ones are the ones I really want to make! I've never met a table runner I didn't like - especially one that has "thankful" on each end. Finally the show stopping piece has to be this cake stand - only instead of a pie or cake I'd place all mini desserts so that we could all have more than one piece!! What would you add to set the table? This week is going to be full of celebrations - stay tuned for a few giveaways and I hope you all have a wonderful start to the week! We were away for the weekend and it almost seemed wrong to enjoy ourselves after we heard the news. We had Emily with us so we kept going despite feeling terribly sad. I am so glad you had a content and relaxing weekend! Target is just so spot on with all their home decor for Thanksgiving and Christmas. Fun stuff. Our world is so scary and this has to stop. Praying and hoping we all unite in prayer and take measures so this never happens again!! Loving the gold silverwear and the wine glass, so cute! We all have heavy hearts this week due to the recent tragic events. It's so sad that people have such hate in their hearts. Girl I'm right there with you on the Paris tragedy. I just don't understand the world and humanity any more. It seems to be getting worse and worse. Glad you were able to get some relaxing in this weekend. Definitely obsessed with all you table setting pieces. I love that cake stand! I love your saying about praying for the world. I wrote an entire post about what happened yesterday. I love your idea about the table setup. The gold leaves make great place settings and I love the table runner. Looking forward to your giveaways too. We all need those weekends to recharge, especially after the heartache of Friday night events. I love the table ideas and that quote...so true...practice makes progress. :-) Have a great week! 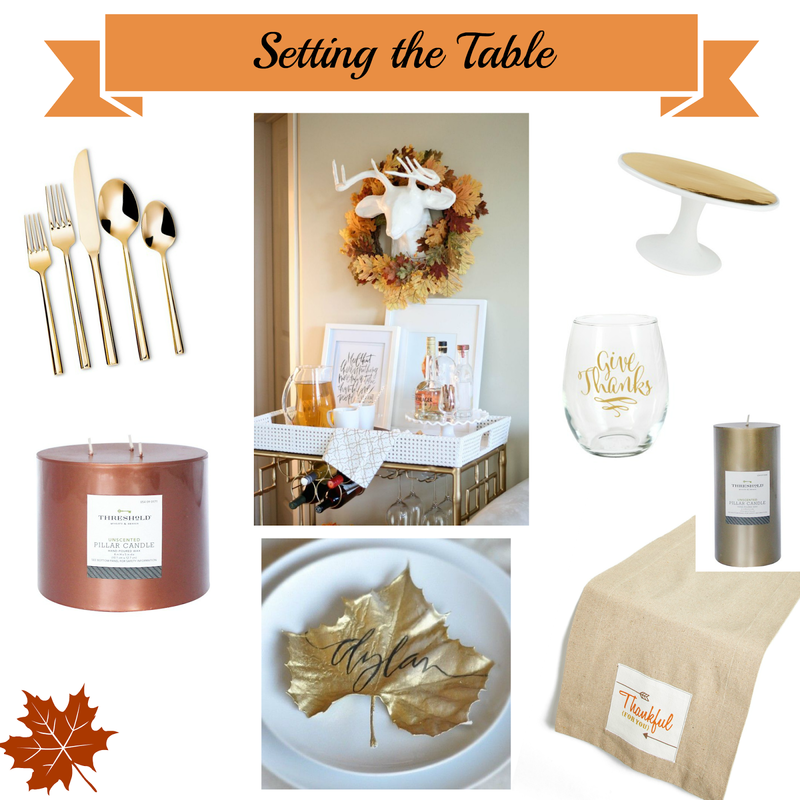 I am loving the thanksgiving decor/table set up ideas. The gold flatware is my favorite! I was shocked about what happened in Paris on Friday, and am still broken hearted about the fact that this is the kind of stuff we have to expect. It's insane that there are people out there willing to inflict such damage all to fulfill a prophecy. 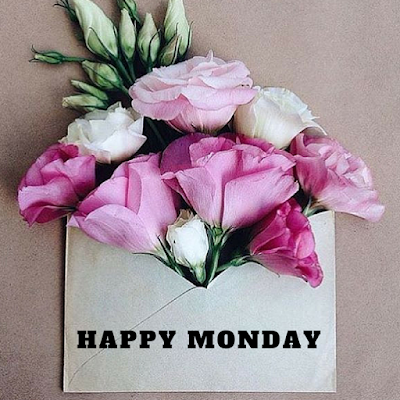 I hope you have a beautiful Monday! Glad you guys had a nice weekend to recharge and relax. Those are always the best especially before the craziness of the holidays start. What happened over the weekend, there are no words. I am heartbroken and praying for them. Sounds like a great weekend to me! And I love your inspiration board...especially the bar cart idea. Too cute!! What a tragedy in Paris. People are so awful!!! It just makes me sick thinking about it! We had a relaxing weekend too, definitely necessary before the holiday rush! Love all the Thanksgiving decor, those gold leaf place cards are so pretty! Still cannot believe what happened in Paris. So so heartbreaking. Target’s Threshold section has been knocking it out of the park lately! Want all of their holiday decor! Relaxing weekends with family are the best. I can't stop finding things I want at Target and now I'm obsessing over those metallic candles! I've been looking at the cooper and gold silverware sets too! They are so gorgeous! Your table will look so beautiful! Glad you got some restful time! I love your Thanksgiving decor picks! Those "Give Thanks" stemless glasses are too adorable! The events in Paris were so horrible! It's hard to even comprehend! Gorgeous settings...I love the bar cart, and will be attempting a similar gold leaf placesetting this weekend! I have that same flatware, that I use for blog photos, and love it! You really can't beat the price. How is Thanksgiving next week?! I am glad you had a relaxing weekend. Love the table options. I would totally add some greenery and some pine cones to make it festive. Here's to a great Monday! I totally agree with the hate in this world... it literally scares me to think I'm bringing a baby into this scary world. Such a tragedy in Paris. :( On a better note, I love your Thanksgiving table set up! How pretty! Glad you had a nice relaxing weekend! Love the relaxing weekend you had! love the thanksgiving table options so fun to think thanksgiving is almost here! I love relaxing weekends where you really just get to spend some quality time with family! That table setting is so pretty, and I love the deer! That looks like the perfect Thanksgiving tablescape. It makes me want to host at my house! I just can't believe the tragedy that happened in Paris! I just can't wrap my mind around how a group of people can have so much evil within them! Praying that we all can come together and have peace! Glad you had a nice relaxing weekend! Love the Thanksgiving tablescape! And I agree - I have been heartbroken by the most recent tragedy because it shows what a dark place this world has become. Prayers that future generations will see a more positive future. I love those stemless wine glasses that say 'give thanks' those could totally be a DIY. I'm so sad about Paris, I'm praying for them and the world. I love the cake plate and the gold leaf place cards are so cute!! Sounds like we had similar weekends! Loving those thanksgiving ideas and yes, I've also been dying for the gold flatware..just gorgeous! Love the link up, as always! Sometimes the best moments are the ones we don't document and isn't that refreshing? Sounds like you had a wonderful weekend with the people you love! LOVE your Thanksgiving tablescape ideas. That cake stand is so pretty and I'm coveting that gold flatware. Target seriously has the best stuff! Friday's events were horrible, and they make me even more thankful to be able to have the privilege to start this week. I hope you have a great week, and I look forward to reading about your celebrations! I love that bar cart! 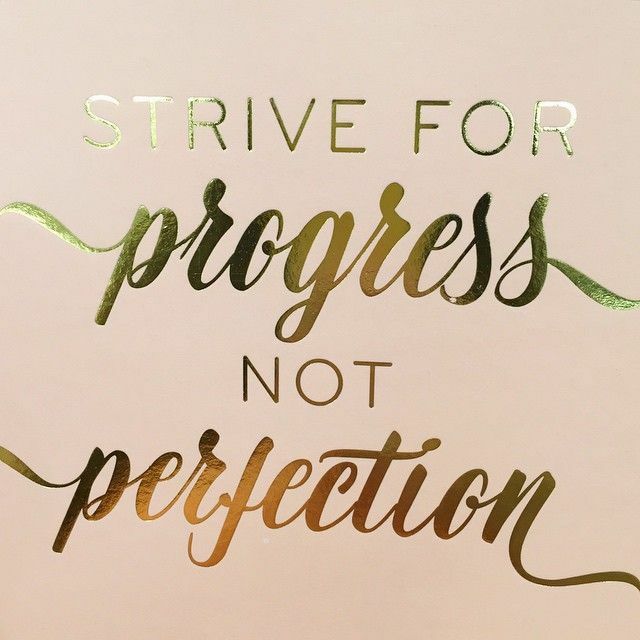 Progress over perfection is a good reminder for this week when I feel like my to do list is overflowing! A weekend relaxing with family sounds wonderful. Yay for a week of celebrations! . I'm still in shock about what happened in Paris, so very sad and heartbreaking. I agree. Brandon and I often remark and wonder about the world our children will grow up in. What's happening in Paris right now breaks my heart. Glad that you had a easy and realaxing weekend, and praying for everyone. Glad you had a special weekend with family, especially after everything that happened. Loving your choices for Thanksgiving too, the gold flatware would be so fun for Christmas as well! "I never met a table runner I didn't like." Priceless! Happy Monday!! Love this post! I can't wait for Thanksgiving! Love those gold leaf table cards! Just nailed down plans and I will be hosting this year...LOVING those gold leaf name cards. I need to get on the ball and do a little extra to make my guests feel special. I have been wanting gold flatware for so long! Just went to Target yesterday and our store was sold out! I swear it's like I'm not meant to have it haha! Love all the Thanksgiving inspiration -- I can't believe it's next week already! I'd really like another set of flatware for the holidays and other celebrations. I love the gold, but recently saw Crate and Barrels rose gold set and now I'm torn between which color I'd rather have! That "give thanks" wine glass! I might have to try to scoop a couple of those up before next week! Relaxing weekends are the best! Especially right before the holiday rush. I love your Thanksgiving picks, so beautiful! Hope you have a great week! Sounds like a really nice relaxing weekend, and baby snuggles are my favorite. I love the wine glasses and gold flatware - I'd love a set of that! Loving that Thanksgiving table decor!!! Sounds like you needed a good laid back weekend to rest before the celebrations start up. The bar cart is gorgeous! I can't wait for Thanksgiving. My in-laws gave us an antique gold flatware set a few years ago but they are VERY gaudy! I'm not sure what to do with them. lol The set you chose are pretty tho! I still can't believe what happened in Paris -- it really makes you cherish those quiet moments you have with your loved ones more. I'm glad you had a chance to do that this weekend. I think Paris was a shock to everybody this weekend - such a terrible tragedy, and we only can hope that one day we won't have to worry about these things. I'm glad that you had a good relaxing weekend, and I'm with you on that gold silverware - love! I'm hosting Thanksgiving this year and have no idea how I'll set the table - but am also not going to worry about it one bit with a toddler and being nine months pregnant! Such a tragedy what happened in Paris and it was definitely a somber weekend because of that, glad you had a relaxing one that wasn't focused on much else besides hanging out! I love all your gold inspiration for Thanksgiving, that flatware set is necessary I think. Also I was soo so close to getting those stemless wine glasses, but hesitated and set them down, but they really are beautiful! Relaxing weekends are the best. I am soooooo in love with your Thanksgiving decor picks. I may just have to steal that leaf idea for our little German Thanksgiving over here. So darling! It is hard to care too much about clothes or shoes right now with all of the unrest in the world. What happened in Paris is just devastating. It was hard to enjoy the weekend after hearing and seeing everything that happened over there. Nothing wrong with having a relaxing weekend! Loving that tablescape and that gold flatware is divine, prayers for Paris. I totally saw your baby fever! JK!! I am with you on that gold flatware. I have been eyeing it for so long and if we don't buy it, it will be gone! I had a super relaxing weekend too, which was fine with me! I'm loving all things Target for the holidays. They have really stepped up their game this year! Oh goodness....I was at Target the other day and saw all of their gold items out for display. I wanted it all! I found the most beautiful stemless wine glasses with a gold confetti design in the dollar spot at my local target. I got a set of 4 for $6 because that was too good of a deal to let slide! Love those golden leaf plates! I can't believe next week is Thanksgiving either! I seriously think the gold flatware is sooooo beautiful!! I love all the gold!!! Sadly I won't get to make/host Thanksgiving this year since my hubby will be away and the kids and I are going to my parents. But my mom has an amazing set of black china (which I've been drooling over since I was a little girl) so I can't wait to use them! The tragedy is so incredibly sad, but everyone banding together in support and hearing stories come out about victims and how they helped each other really has given some faith in the good still left in this world! I really like the give thanks glass! Those stemless glasses are so pretty! I'm trying to think of a DIY placeholder myself, so it's good to know where to find a beautiful back up if my creativity is lacking! def praying for the world--so scary!!! i love the thanksgiving tablescape--how cute is that idea to write the names on the leaves? i'm having a gold moment, so i love what you picked out! That gold flatware is super cute!! Paris and e violence has been on my mind, heart, you name it and I definitely added them to my prayer card at church. Relaxing weekends are so nice! I really like everything you posted & they are all perfect for Thanksgiving. And I just want that gold flatware to use every day! Love it! I have been drooling over gold flatware for forever! I am even including it in a gift guide that I'm working on. It's just so gorgeous! We host Thanksgiving and I am so not ready this year. I've started putting up Christmas decorations, but haven't thought much about my Thanksgiving table. Love the gold! I love those Give Thanks glasses! I'm hosting Thanksgiving this year and have no idea what to put on my table! Sometimes relaxing weekends are the best! I hosted Thanksgiving once, but I was more focused on the turkey that was still frozen on Thanksgiving Day than the table-- love the gold accents, especially on the bar cart! beautifully said B.. of course I am very sad about what happened in Paris, but overall I am sad for the world.. Things like this keep happening, and I don't want to raise kids in a world filled with hate. So sad.